48 pages of additional great stitch samples for all of your needlepoint projects, along with a few extra pages of grid paper in the back. At a convenient size of 6" x 4", you can carry it with you anywhere! 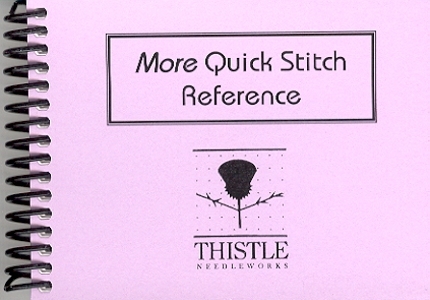 A great companion to Quick Stitch Reference.